That was quite a close call. The worker was thankfully unharmed but was a mere split second away from certain death had he not jumped out of the way in time when the dirt walls fell into the trench. Ironically, the person filming the incident and calling for the worker to evacuate the trench just seconds before the collapse was a local OSHA agent who happened to be there at the time to inspect the work site. The cause of the collapse was determined to be inadequate reinforcement of the trench walls, which became more vulnerable as workers progressed deeper below the street surface. OSHA cites trenching and excavation as one of the most hazardous construction operations. In fact, trenching accidents take the lives of 40 employees per year due to crushing and suffocation from dirt collapses. To put this in perspective, one cubic yard of soil can weigh as much as a car (approximately 3,000 pounds), and the trench in the video was 21 feet deep at the time of the cave-in. Other types of accidents that occur during excavations include falls, falling loads, hazardous atmospheres, incidents with mobile equipment, and electrocution/explosions from contact with underground utility lines. As you saw, the excavation job in the video was not following OSHA code. Although the worker in the trench was neither exhibiting caution nor aware of his surroundings per the S.A.F.E. model, the more critical violations concerning this incident stem from management’s failure to promote a safe work environment for its employees. The project supervisor was not taking responsibility for ensuring that the hazards of the job were minimized, nor that his employees were avoiding safety blind spots through strong safety performance behaviors. Managers have the duty to set the bar for safety expectations among their subordinates. 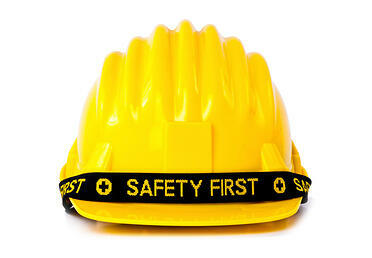 This is particularly important for abnormally dangerous work such as excavation, so we recommend that anyone reading this who works in the construction industry should review your current protocols for trenching to be sure that you are following all safety requirements and prioritizing employee safety on these types of jobs.